The bellina planters are available in 3 sizes: 8", 12", & Grande (12" taller version). our best-ever selling design comes in various finishes - solid, spray, reactive, & stone. The bellina offers a timeless design to blend seamlessly into modern, minimalist & traditional decor. Lightweight & durable high density resin - UV coated finish protects color from fading. Indoor or outdoor use. Planters are delivered without drainage holes - holes are easily drilled in the bottom either in the center or reservoirs of the planter as needed. 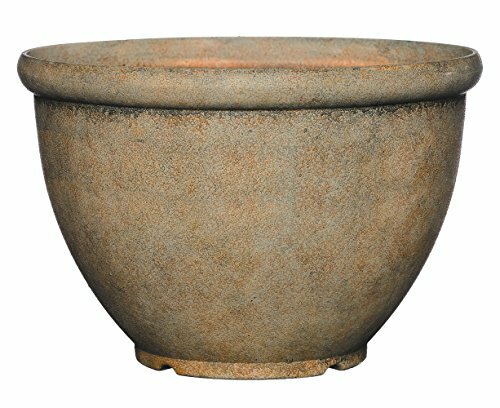 The 8" is ideal for window sills, countertops, Desks, & Small tables - it's a great succulent or flowering plant container. The 12" & Grande will meet all of your larger scale planting needs. See pictures for full dimensions. Volume: 8", .60 gallon; 12", 2.50 gallon; Grande (12" tall), 3 gallon. If you have any questions about this product by GARDENGOODZ, contact us by completing and submitting the form below. If you are looking for a specif part number, please include it with your message.